Originally from: Born on Oregon, USA, grew up in Portland, also lived in Montana, Washington State, lived fifteen years in Tucson, AZ. 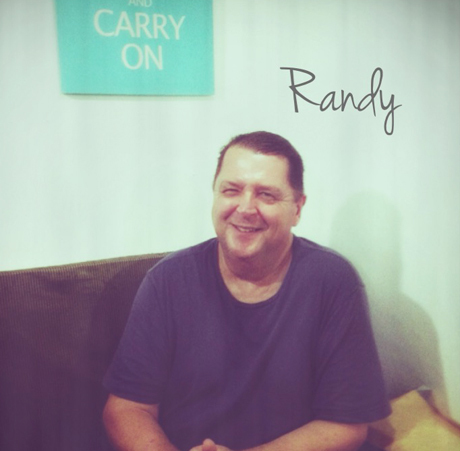 Randy is sometimes called “Tatay” (father) by the people who work for him and he has this avuncular air about him. He possesses an amiable demeanor and is approachable. His humanitarian efforts ranges from empowering people, improving lives, granting scholarships to deserving individuals and more. His efforts are faith-based through what he refers to as “Lifeology” which translates to exhibiting his faith by his deeds. LL: Randy, can you describe the place and vibe where you come from, the most recent one? RGM: Tucson is an ethnic city with Spanish-Mexican influence, it’s twenty minutes to one hour to the border (of Mexico). It has a heavy Catholic community, beautiful outdoors. It’s hot, it’s the desert, it has some of the greatest lightning storms in the world, I like it for that. LL: You take photography of lightnings? They make good photographs. RGM: I used to be an avid photographer before it became digital. I went to film school, we would shoot from sixteen - eighteen millimeters then it became Beta then VHS and so on. RGM: I was a missionary-pastor’s kid. Coming over (to the Philippines) has always been a part of my life. I traveled a lot, my parents traveled a lot, they started coming over to Leyte about 25 years ago. We worked in Mindanao, but Region 8 was their primary ministry. I came over to Leyte 15 years ago. I had a family but I did not bring them full time. I ended up having export business, began an export business in the northwest of the US; I had that for almost 10 years, my specialty are books and medicine then I created a book franchise outfit here in the Philippines. LL: Can I name the book franchise? *Randy winks at me and I get the code for “best not.” Which is cool with me. RGM: The reason why I was attracted to the Philippines is because of the people. Filipinos love life, laughter, art, they are artistic, musically inclined, they have an artistic flair within them. From the first friends I’ve had in the 40 years that I’ve come... the capacity of the Filipino's mind is greater than what they realize. Languages, they have taken it to another level, they have a greater capacity to learn and this is what created the Filipino endurance, patience and ability to go forward in spite of. This component of the Filipino I am always amazed by, for example, a person can come out from a mud house and put me to shame with what they know in languages. LL: Why do you think we possess this? RGM: I think it’s because of the different cultures present in the society. The Philippines is a melting pot, because of that you have so many languages, from the Spanish heritage, Chinese, Southeast Asian, because of all these components, because of the melting pot, you either survive and integrate the languages. All of a sudden a family has learned a lot of languages. LL: Wow, you have good things to say about us! We have this issue though, after the typhoon (Yolanda) many good things came out of it as well as not so good ones, nationwide studies have shown that our region is the highest in teenage pregnancy after Yolanda, why do you think this is happening? RGM: I believe it's because of the drive for human connection, it’s the fear of not being able to experience bearing life. LL: Can you say something towards our level of materialism, I mean, I personally have not seen this many luxury vehicles, gadgets or accessories after a massive tragedy. RGM: As for materialism, they do it because they think it adds value to themselves, they believe it enhances how people "look at me,” also, materialism is increasing because of integration. They look at the world around them and they aspire, this is no different than in the US. Filipinos see the foreigners that are here right now for example who will order coffee for hundreds of pesos and that’s nothing to an westerner, but to the Filipino who is looking, they will aspire. I was at Robinson’s the other day and what were people looking at? this iPhone 6 or 7 and I said, “Shoot me if I buy this thing,” I will not buy a phone that costs one thousand dollars when I could drop it, break it, it might slip in the toilet or someone might take it from me. LL: I see pretty much that we have been able to rebuild after the typhoon. RGM: The rebuilding can take fifteen years; and because of the Filipino’s resiliency and fortitude… There’s this grasping of the Filipino culture NOT to dissolve, there’s this component. There’s a percentage in the country that is pushing to a new paradigm. Filipinos are not dumb, they know that there’s a component in this world that it (The Philippines) can even be a greater nation. I call the Filipino people as the “Daniels” of this world. LL: The Biblical prophet Daniel? RGM: Yes, Filipinos are in all different types of work all over the world, they are engineers, medical people, laborers, one day they will rise up and one day they will have a voice. The younger ones right now, the 20’s group, they are the ones that will make or break a people. LL: You recently had a symposium for women, can you tell us more about that? Was it for improvement of conditions? RGM: I conducted a women’s conference, I brought in team members from the US, my goal was to expand their capacity for who they think they are, I work in the faith community, so I try to bring people together who want to experience that. I want for people to identify what they have. In that conference, I wanted Filipinos to partner with the Americans so that they can work alongside. In that environment we move to a community and the components are health, feedings, conferences and seminars but these are not about me, I’m just the one who orchestrates it. My mission is when we leave the conference, someone will feel refreshed, empowered and they will talk about what they learned, even if it is to disagree, it’s OK if people disagree. LL: So it’s information and empowerment. RGM: I look at the positive first. In the Philippines, it’s the women that move things. LL: Yes, I think we are a matriarchal society, it didn’t use to be that though. RGM: It’s because of the the number of women in the country, and also, the men are disengaged, complacent you might say. There are less involved. I have seen men who make the wives their cash cows. I once tried to help this couple, the wife was pregnant and she was my employee, the husband didn’t have a job. The wife asked me if I could help them start a business. It was going to be a chicken business. He wanted two chickens to start with, I told them, to start a chicken business, you need more than two chickens, you need over one hundred; two chickens - that's a hobby. I think that was just an excuse so that it can’t be said that he didn’t have a job while the wife would take care of the babies she was going to give birth to. LL: What are other areas where you are involved in? RGM: Coming here to help was always part of what I had done. I would always do youth camps here in the past, I would have youth camps at first for the kids of the parents who worked in the US Embassy. I would do week to week lessons, I wanted them to realize what influence they could bring having the privileges that they had. I have scholarships, right now I have thirty seven who are in college, there are in Tacloban, Guian, Cebu, Ormoc, Samar, Manila and Mindanao. My approach is what I call “Life-ology.” There is a saying that goes, “The eyes of the blind are watching you.” There should be no motive when you help. LL: You have given me a lot for this interview already but please allow me to divert to this default question I have and this one is: given an opportunity to resolve one global issue or conflict happening in the world right now, which one would you take a gander at? RGM: Yes, like that and the way where the teacher is the only source of learning, kids don’t learn much; and you don’t have much of a window to do this, if the kids don’t learn things from ages five to thirteen, if they haven’t been taught what’s important by then, then it’s finished and this creates a vacuum. We need to make leaders. LL: Randy, thanks for this and thanks for all your work here in our community. 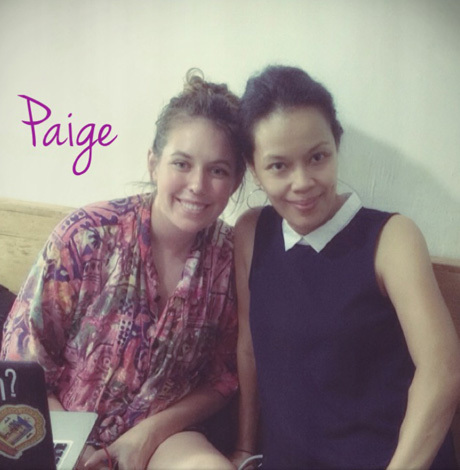 Paige has a heart for humanitarianism. In her 22 years of life she has participated in aid and volunteer work in 3 prominent global disasters and they are: Hurricane Sandy which occurred in the United States eastern sea board, the most recent earthquake in Nepal and with us here in Tacloban City after Typhoons Haiyan and Ruby. By now she has become a seasoned humanitarian but I believe she is just getting started. This is her interview. LL: So Paige, can you tell us about the place and the vibe where you come from? PEL: I’m from Houston, Texas. I grew up in a quiet and small suburbia called Sugar Land in Texas; it’s 20 minutes from downtown Houston. I don’t like it, it's cookie cutter, safe, a nice neighborhood. It’s great for when you are raising children, I understood why my parents raised us there but it’s not a good place for adulthood. When I got older I began to explore Houston more and I found it to be a very diverse city. I went to the University of Texas in San Antonio, then to Texas State University in a campus that's 20 minutes from the Austin city limits. LL: I like Austin too, it’s like a culinary mecca of sorts; what’s the Southwest by Southwest Festival like? PEL: It’s awesome, it’s a great time. All the bands play in the streets, the big band names and there are films being shown as well. PEL: I had already been working with All Hands as a volunteer for Hurricane Sandy. LL: I understand this occurred in New York and New Jersey right? PEL: Mainly basements. The basements were flooded and we worked with "Resurrection Brooklyn" which is partnered with Red Cross, they funded the project we had. LL: How many volunteers were there? And didn’t it happen during winter? PEL: There were about 400 volunteers in a period of 9 months. Yes, it was in the winter, it was brutal, it was very cold. I was also in Nepal these past 7 months, I had already come here to Tacloban to help after Typhoon Haiyan then I went with All Hands to Nepal. I was with a DAR (Disaster Assessment Relief) team, where we go and assess the damage incurred by disasters. After the initial assessment there, it was already very bad that we had to help immediately. There are already 940 volunteers from All Hands in Nepal post earthquake, that number is changing as people get done with their volunteer work. .
LL: There was a second earthquake that occurred one week after after the initial one right? Can you tell us about that? You were already there for the 2nd one right? PEL: Yes, the first one was 7.8 and the second one was 7.4. There were many aftershocks, we got used to it but then the 2nd one happened. We thought it was just one of the aftershocks but it was very extended and buildings began to shake harder, things were falling to the ground. We were at the roof top so we ran downstairs, we were told to stay indoors though because of the debris falling from the buildings. We were in Katmandu at the time, we couldn’t see the extent of the damage at first but as soon as we went outside, we saw it, then we moved to Sindhupalchok where 90 percent of the place was destroyed. LL: What are the Nepalese people like? PEL: They are very sweet, they would help us with the things we would do, such sweet people. PEL: I have already been here since last year, but I’ve never met anyone like the people here. LL: How could we improve as a people? PEL: I guess, people could take better care of the environment. PEL: After Hurricane Sandy, I just had to help. I was in school, I did 3 years of school but I have stopped for now and did volunteer and aid work. I have to do 1 more year of school though. PEL: Being here made a very big impact on me. There was more of an obvious need here compared to New York. We were restoring and rebuilding basements in there but when I came, one could see that the need was more obvious. LL: Yes indeed, after the typhoon loads of people had no houses at all. LL: Given all that has happened in the world, the news we see, the political and religious upheavals between countries and ideologies, there’s terrorism and the natural disasters which we cannot control. Do you feel there is hope for the future of our planet? PEL: Call me an optimist but things are constantly changing and people will help with the change, like in Nepal, new ideas have come up in building more earthquake-resistant structures. PEL: There is this new thing called “Earth Bags”; it’s new, but they are trying to do this now where they use bags filled with soil and they stack them until they are dense to make the wall. It makes the walls absorb more shock in the event of an earthquake because unlike concrete which is rigid, it breaks; whereas the walls with Earth Bags will sway and not break. LL: Cool! Like the suspension bridges during earthquakes. PEL: Homelessness and the way we treat mentally-ill people. LL: Indeed this is a concern isn’t it? After Yolanda, there was an increase in the number of people who could not cope mentally, a lot of them bear the trauma of watching their loved ones drown or get taken by the water. 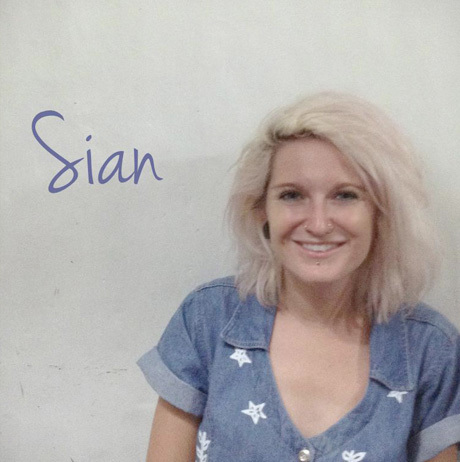 LL: Apart from volunteer work or being an aid worker, what’s the next best thing that makes you eloquent with words? PEL: Swimming, volleyball, shows, concerts. PEL: I might take an extended break but I am not done with All Hands, I am very passionate about this organization and doing humanitarian efforts. LL: Who founded All Hands? PEL: A guy named David Campbell began All Hands. He started after the big Southeast Asian tsunami that affected Thailand and Indonesia. LL: How many projects has All Hands been a part of from the beginning? PEL: In the past 10 years, we have had 55 projects. LL: We are about to get done but wanna play one-word-answer questions and Bonus Q? PEL: Andy Warhol, because I would like to talk about his life in New York during the 60’s. I’d like to ask him about Edie Segdwick, the very first “It Girl." I like the pop art he did. I find that whole lifestyle interesting. The things that Paige has gone through in the 22 years of her life is profound to say the least. Her good deeds done will leave memorable footprints for the many people she has touched and affected. It was an honor to talk to Paige, she has put many things on hold like her schooling, pursuit of a successful career, personal life and comforts for the sake of the stricken. That cannot be taken lightly at all, not by the New Yorkers, the Nepalese and the Filipinos who have seen her hands reach out to them in the time they needed it most. Thank you very much Paige. 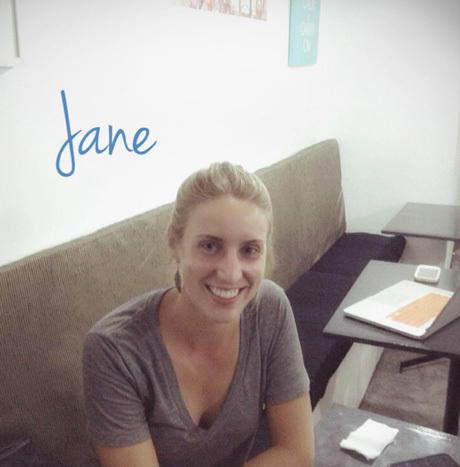 Sweet Canadian Jane is very affable. Her eyes shine very bright when she talks about anything, to me it signifies that the cup of her life here on Earth runneth over. This All Hands volunteer who in her own words has "no hurry" to complete college genuinely loves our island town and even has intentions of living here sometime in the future. That is very good news for us and here’s why. LL: Jane, thanks for agreeing to this interview. Could you please describe the place and vibe where you come from? JC: It’s ridiculously cold where I come from, it goes to extremes of negative 50 degrees in the winter to plus 40 in the summer. Where I come from has a small town feel but it has 800 thousand people. It’s like at the cusp of being a big city, it has neat coffee shops, different restaurants, underground music scene, the art scene is cool but we are shut in (our houses) 6 months out of the year. JC: I was in school for my undergrad, my major is in Microbiology, I have been at it for six to seven years already because I am also working full time. I was in insurance for years, I also did bar tending. I decided to have fun jobs for a while. LL: Are you completing college as a working student? JC: That and I have bursary. LL: What’s a bursary? Is it like grants for students? JC: Yes, they are the same. LL: Are you going to be a doctor? JC: Yes, my sister who is practicing Naturopathic Medicine is already a doctor. LL: Is Naturopathic Medicine like Homeopathy? JC: It’s more than that, there are additional certifications for it. LL: It would be great if you practiced medicine here. JC: I was discussing this with my sister that if she wanted to extend her Naturopathic practice here like in an international capacity, that would be good. JC: I am absolutely in love with Tacloban, I love the people. 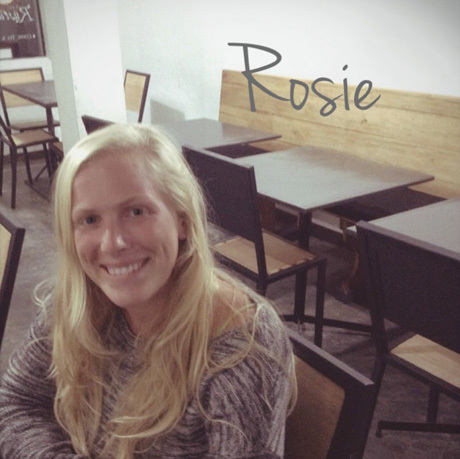 (Like Rosie Alberio, Jane is working on a project with Street Lights in the Tagpuro area). We went to the sea side of the Tagpuro area there one time, we spent time with the people and other volunteers there and it went far as us having a had blood pact where we promised that we would come back to live here. We already have a panday (carpenter), a contractor and so on! One of the girls who were with us already opened up a Facebook Page about coming back to live here, she’s serious, it’s like, “This is really happening.” *laughs excitedly. LL: How did you end up volunteering here? JC: I was traveling and I met this girl in Cebu, I told her that I was going to Australia but I had no where to go for a few days before my flight. Then we got into volunteering, she encouraged me to go to Leyte, I was supposed to be here only for five working days, but by day two, I extended immediately. I have now forfeited my plane ticket to Australia. JC: Back home I have already volunteered in several places. I have always volunteered because one does this in high school. My grandma was sick with cancer for 1 year and I took care of her. She was my best friend growing up. She was the hardest working woman in the community and to see her not to be able to do anything for herself was heartbreaking. I was so sad when she died so I volunteered in cancer centers, and I always wanted to do oversees volunteering. JC: Yeah, I don’t think you can be here and do what we are doing and not be affected. People we work with, I actually have love for them, and people from Tacloban just open up to us. I was shown images from the typhoon (Haiyan), seeing the images, it’s one of the craziest things, there was so much to be done. The resiliency (of the people) is incredible. LL: Given all that has happened in the world, the news we see, the political and religious wars between countries, ideologies, terrorism and the natural disasters which we cannot control. Do you feel there is hope for the future of our planet? JC: Yes, If you’ve been here and you see how people keep enduring, there’s hope. The human spirit is cool, when people keep trying that’s when you have something better for the future. JC: I don’ think I can pick one because it’s a chain reaction of everything. I think if you fix one, you'll fix everything. JC: Animals, I love animals. Back home I foster cats, dogs and other animals. I get them when they are babies and when they open up their eyes, I am the first person they see, I am their mummy. I also love to travel, I am an "experience seeker" and I like the countries that have great cultural backgrounds like India, Africa. JC: My grandma Lina (pronounced Lye-na), I want to chat with her about so many things. There are also a few people I want her to meet. As we finish, Jane with her co-volunteer friend Rosie say goodbye and I feel that we are blessed to have everyone that has ever come to help us not only to rebuild, but also that they immersed themselves with our lives here in Leyte. I hope we have a great and positive impact on them just as they have done with us. 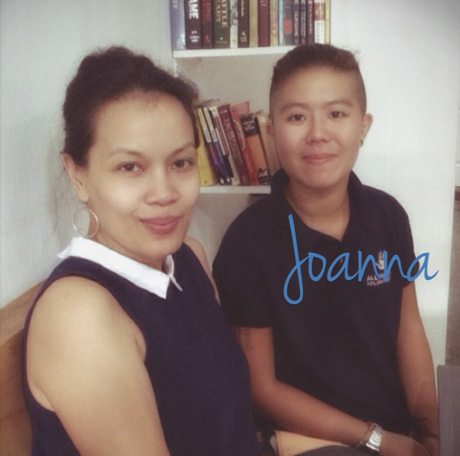 Jo (R) and Moi from Living Leyte (L). Originally from: Mauritius and has been living in Coventry, England, a graduate of Coventry University. LL: So Jo, Can you describe the place and vibe where you come from? JAW: I originally came from Mauritius but I went to university in Coventry England, I have lived there for the past 4 years but when I finished I went back to Mauritius before coming here. Mauritius is multi-cultural, multi-racial, it’s a mixture of Chinese and Indians. It was colonized by the French then the British, the trade there was sugar cane, local rum made from sugar cane; tourism is big there because we have nice beaches, like the the one in Kalanggaman. It’s relaxing, it’s not a big city but traffic can become intense. Cuisine is mixed there, Chinese, street food, Indian food, one can find french bread in the shops for example. A majority of the population is of Indian origin. Hindu is the majority religion, the official language is English, Creole and French. My great granddad went to Mauritius when he was 17 years old and we are the 4th generation. JAW: As I said I went to school in Coventry University for 4 years. My major was in Disaster Management. When I finished I went back to Mauritius to catch up because it had been 2 years since I’d been back. I caught up with old friends, everything changes when I go back home. LL: True, nothing stays the same. JAW: I love it here, I have been to the nice beaches, it’s not really the physical aspects of things, it’s the people, the people are respectful. Whereas back, home people swear. JAW: A lot of it came from my parents’ influence, they are traditional Christians and I grew up with that. I volunteered with a Christian organization in England and I discovered that's what I like. Volunteering came along and it’s the obvious thing for me. This gave me a perspective that’s why I majored in Disaster Management and not engineering which is what I was planning on. LL: How long can one volunteer? JAW: It depends on the funds, I am lucky because my parents support me. I volunteered with All Hands and I am now an Engagement Coordinator. LL: What does an Engagement Coordinator do? JAW: It has anything to do with fund-raising, engaging the community with our organization. JAW: Definitely. Example, I am so used to things like air-conditioning, shoes, nice clothes. Now I think twice about what’s important in life. I am less materialistic now. JAW: Yes. I feel like if there’s no hope then we won’t bother but we can see that people volunteer for example and it restores faith in humanity. JAW: The war in Syria, the refugee crises. I feel that if the main issue will be resolved then the surrounding issues will be resolved around it. JAW: Music, acoustic guitar, My favorite song is “Superstition" by Stevie Wonder. JAW: We are going thru the end of February with the project. We’ve had collaborations with Street Light, CRS (Catholic Relief Services). I’m looking to go to Nepal and I heard of new people from another outfit dealing with refugees in Europe, I may join that. JAW: Nelson Mandela. I would talk to him about his life. He is just was an inspiration to so many people. I’ve been to South Africa and I knew about him growing up. LL: There's just one thing left, I need to take a photo of you. Jo is reluctant but concedes and agrees to this but only if I am in the photo with her too. I guess this is not a bad bargain, after all she's done for the community. ;-) . Jo obviously has this kind heart that extends towards us and I believe even further beyond. Jo, from all of us, Thanks very very much! Daniel was taken to Norway when he was 1 yr old by his adoptive parents along with another Filipino baby girl. The cue cards I had for this interview was practically thrown out the window, as it turns out, Daniel is an anthropologist who is currently working on his post-graduate thesis. He admits that part of his objective in coming to Leyte was to do research about our cultural structure in addition to doing volunteer work. The knowledge I was able to glean from this man in the hours I spoke with him was nothing short of remarkable; during the process, Daniel drew models and diagrams that pertained to his scientific observation about the dynamics of our culture and mind set as a people. Without further ado, here it is. LL: Can you describe the place and vibe where you come from? (Daniel shows me a scene of a pristine lake surrounded by snow-peaked, deep green mountains on Instagram to clearly illustrate to me where he comes from. The photo of his hometown was picturesque and breathtaking, the sort we see in calendars). DR: I grew up in Eresfjord (pronounced Eres-fyord), it's a very small town with 300 inhabitants, everyone takes care of you, people are helpful but at the same time you can’t escape gossip. It’s one of the most beautiful places I’ve been. It's frigid during the winter months and when it’s Christmas, snow comes down from the sky. You always have to shovel the snow in the wintertime. It snows from Nov - March. Currently though, I live in Tromsø which means land of “Troms", where it snows from October through June, sometimes through July. (Daniel also teaches me that the Nordic letter “Ø” is pronounced the same as “oe”). LL: So Daniel, what was your life like before you came? LL: Is there a sort of an Ivy League grading for universities in Norway? LL: Is there a famous alumna that comes from your university? DR: I’m not sure. The Norwegian language came from the Germans. Tromsø is a beautiful place I lived there for four years now, my girlfriend is there. Have you seen The Lord of the Rings? DR: Well, Tromsø is like the Shire, the shire of Shire where the Hobbits live. DR: Tacloban is very full of beautiful people. I am here on a scientific quest, one can sense that Yolanda only happened two years ago. I find Tacloban to be both modern and traditional, I think a lot of the foreigners get caught in their own bubble and don’t experience Tacloban for what it can be, there are challenges here and I hear many of my co-volunteers tell their experiences of changed life and I am happy for them. It’s both beautiful and sad at the same time though all in all I find people beautiful. LL: Have you learned anything from here? From us? DR: Oh, where to start... Filipinos really value their families, they value group opinion, this is something that goes really deep and this is different from the culture I grew up in, example, in Norway there is a welfare system that works; here, your family is your welfare system. Filipinos choose very differently, a lot of Filipino ways are different and people pick up on them but in the end, they are just as rational as what we do back home even though it’s different. 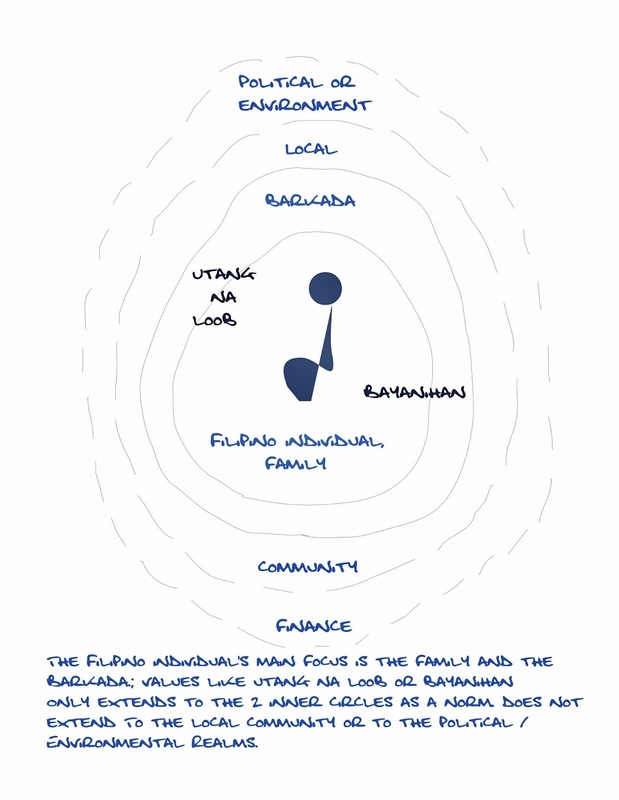 DR: Typically, the focus of the Filipino does not extend outside of this two inner spheres; Filipino traits such as “bayanihan” and "utang na loob” are typically exercised within the inner two circles. 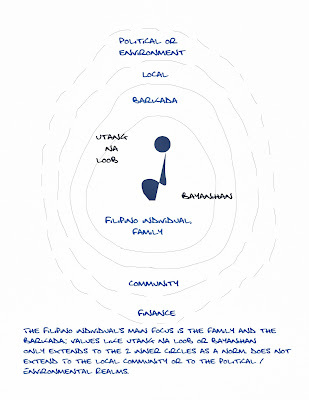 The outer circles of the Filipino are the local community and the outermost sphere are the environment, political landscape or the financial realm of the country, but this is a far extension already for the Filipino. Interaction and involvement with the outer spheres are very rare. LL: If not nil (I agree). Now, given this scenario, how can this society survive in the long run, especially if there is lack of concern by the individual for his world? DR: It works for now, but in the long run, it might not. LL: How can we improve our place and as a people in general? LL: What about corruption? corruption here is practically institutionalized. Vote buying is the norm and I have seen where people register to vote so that when the election comes, they are ready to receive money from a candidate. DR: About corruption. A lot of Filipinos like to have good relations and as what I understand about corruption here, it’s people giving favors to each other. One gives favors in exchange for favors. Even if it’s money that’s on the table, it’s still favor. Understand though that the longer the people sell their votes or cheat with their taxes for example, the longer the process is abused and it will all contribute to the collapse of the society. 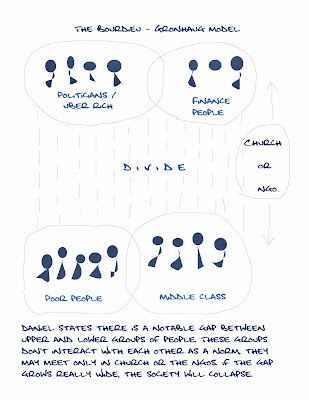 … Daniel then draws another diagram called the Bourdieu - Grønhaug Model. 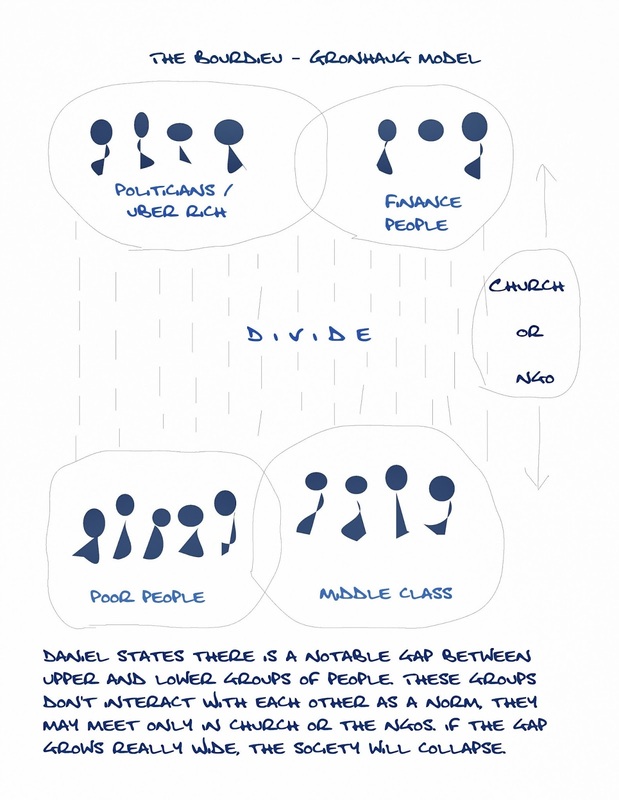 DR: In this model, we see the very rich people with the famous family names, politicians and the financial people on top, over here (at the bottom) are the poor or working class and the middle class, there is a divide between these groups of people. The ones on top mingle with each other and the ones on the bottom do that as well. The people at the top will not mix with the ones on the bottom unless maybe in church or through NGOs and when there's something that happens like big disasters, a good example is when I big company will do charitable work. LL: Can a poor person or working class person go up the chain or cross over within the classes? LL: But this is aberrant. DR: Yes, it's not the norm. LL: At that, really there are still classifications, the old rich will not accept the nouveau riche as their own. LL: Will this society last in this dynamic? DR: It will for a short time, but as the gap grows bigger, it will eventually collapse. LL: Wow, we haven't talked about the level of materialism here, our brand-name-worship. I know of some people who go in debt just to buy these brand name bags or shoes. Personally, I think it's a façade. DR: You are right, it's a façade, it's also a way to get "love." DR: They think that by getting prestige (through these expensive things), they get power and people would love them more. They do what's called as strategic chores on to the society, then the society gives them feedback. See, prestige or pride with one's possessions is nothing if nobody sees it. DR: It may be a warped way to get love, but it's still "love." The Filipino's agenda includes minimizing risks, maximizing profits and happiness in relations. by trying to please their family through money or doing things for them, they minimize risk even if it will cost them or it may even become abusive. In this aspect they maintain happiness in relations. They also like to maximize profits, an example is when they do favors for many people, these people in return are indebted to them and when the day comes when they are in trouble, they have a lot of areas to go to for resources. They are doing this for that one "big day." In this culture though, it works when there is big trouble, such as a big disaster like Yolanda. You have the culture for it. If something of this magnitude happened in Norway, I don't think we will have the culture for it. LL: Wow. I am astounded by these things because I really can see it for myself! At this point I see that I could speak to Daniel for days and he would have an adept representation of our ethos and he would be correct for it. Mind you, he does not postulate that all of his findings are gospel, merely scientific observations and there are individuals who are exceptions to the rule. I see this too, a lot of us do have the heart and the selflessness to extend ourselves outside of our social strata. 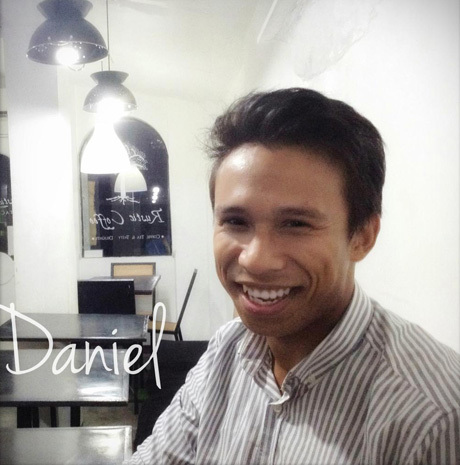 If I had the means, I would commission Daniel to do talks all around the different areas of our community if only for educational purposes. I believe that if all of us can identify the areas by which we could be better then we might just be keyed up to pay attention and make changes. A part of me has hope for us yet a bigger part of me feels that this is a pipe dream. LL: Well, I certainly learned so much by just interviewing you Daniel. And since I see that this interview has gone on to another direction, I am already happy with what you’ve imparted. I mustn't waste your time any further, you have so much to do. Just to end on a lighter note, wanna play one-word-answer questions? Iceland or Australia? Iceland because I know the landscape. The following day I learned that Daniel has also been consulted by other organizations to assist in the evaluation process of programs that have been implemented all over Leyte. This is not a surprise of course. It appears that this man is a windfall of knowledge and I am happy to have been a recipient of it. * Drawings were done by the blogger based on Daniel's illustrations of the models. Position held prior to coming over to the Phillipines: Graduated in May of 2015, worked under a government contractor company cleaning up after the Avian Flu epidemic in the US for USDA. One would need to do a double take on Californian Jayson Alexander Carr because he could very easily pass for Liam Helmsworth with a beard right? But make no mistake, this gentleman is worth his weight in California gold because of his big heart. Jason volunteered here in the Philippines because to put it in his own words, he wasn’t happy not doing anything at home in a humanitarian sense. This is his interview. LL: Can you describe the place and vibe where you come from? JAC: I come from Orange City, California, a suburb, I live in a track home or a cookie cutter home where everything looks the same, it’s a small, safe and nice little bubble of a neighborhood. LL: What was your major in college? JAC: I majored in psychology. JAC: I was the intermediary between contractors and the government, we were in place to make sure there was no over charging of equipment and services. Life was great, my parents provided for everything, I had a private catholic education. I had plenty of opportunities to take. Living in Southern California, the weather is amazing, there’s the ocean, it has a relax feel. JAC: I was in Manila first, then when I came to Tacloban, there was this welcoming party of the porters who would clap (a rhyme) and bid us welcome. When I arrived, the sun was just rising, the fishermen were already out to sea. It was a great welcome. I find that the shops are distinguishable, the sari-sari shops, it’s redundant but it makes sense. I’d never seen the living conditions I have seen here, I visited in the coastal towns and to see so much trash… I saw toilets that are on the beach with kids just playing underneath it. It doesn’t make sense to me why there’s poop where you play. I also saw these signs on some barangays which said, “this is a public feces-free barangay,” I didn’t understand why the sign was even there. The way I see it, you start with a clean bedroom, your begin and end the day somewhere clean, then you extend this to your entire house, then your neighborhood, then your community. JAC: Knowledge on cleaning up trash. JAC: I heard about All Hands from a friend who went to Nepal, also a big reason was that I never traveled, and I think when you travel and make a home in a place, it would involve you in making a place better. Also, I am a huge follower of humanitarian efforts. Personally, I wasn’t happy, I was only sitting at home. JAC: It has definitely helped me because it has actualized an idea I had with traveling. I didn’t know what I could do with my own hands. Regarding NGOs, you get ideas about how to do work and coming into All Hands, it’s different because you are doing labor, though I was expecting more locally sourced help, I didn’t realize the projects would take the whole day for the team. JAC: I’m an advocate. I spread the knowledge that way. JAC: Yes, I feel it in myself, everyday when I can control myself. Then I know that someone else can control their own selves. For me, there’s empathy out there, every human has the same biological grain and if i can do it, it’s possible for someone on the opposite end to do it too, if there’s a little hope than theres hope for the general sense. If you can do it in your way then anybody can do it. JAC: The refugee crises in Syria through Europe. JAC: Reading and writing, I like essays, I write from the stream of consciousness because that’s what people are, that’s why I studied psychology. LL: What have you written? JAC: Letters to people, essays from my own stream of consciousness. I have a flight booked to Vietnam and I will go to the Northern province to teach English in Hagiang (pronounced Hazhing), then I will go back home to pay my student loans and I want to help in the Syrian refugee crises. JAC: Earnest Hemingway, I just want to know how did it, how he get there, what made him write what he wrote. I’m not even sure if I can say anything, it will be more like he will be the one who would talk and I listen. 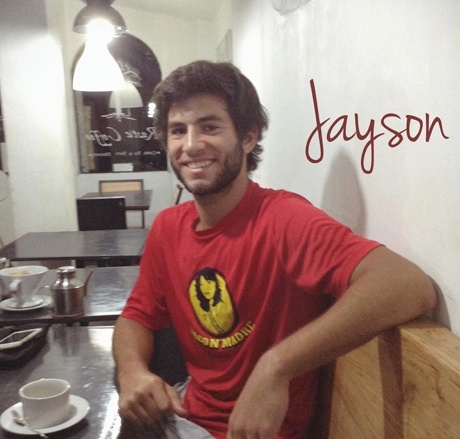 As we conclude the interview, we wish Jayson all the best in the world and all his endeavors. What a fortuitous circumstance that we first got to know him while he was extending himself to us in such a selfless way. Jason, from all of us, Thank you very much! 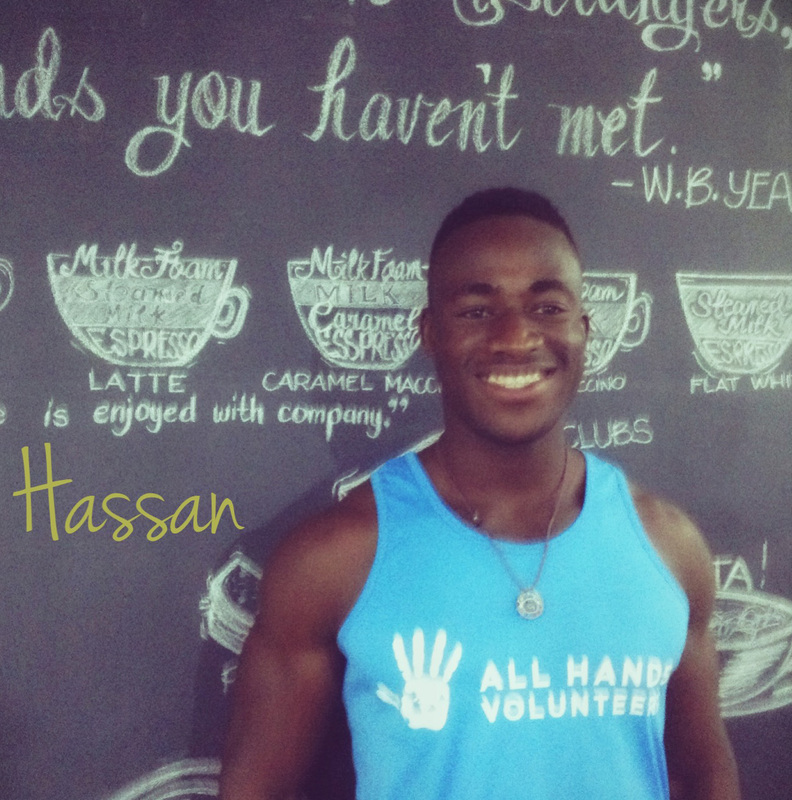 I met Jaime in a coffee shop where he would hang out in between his volunteer work. I found him to be warm and affable. Very engaging not just in conversation but also with life. It was inspiring to see a young man be very committed with helping people he’s never met and are not familiar with. All these were palpable throughout the interview. LL: How did you start off with volunteering? JMG: I did volunteer work at home with the homeless, the elderly and people without families but that was when I was very young, then I wanted to do something else. At University, I became a member of an architect NGO made up of students but we were not able to do a lot and we didn’t have tools; I also wanted to do volunteer that had to do with my home in Spain and I wanted to help in the poor countries. In Barcelona, I was working in a “Comidor Socíal” a kitchen not necessarily for homeless people but also for people who were down and out; you could see that some of those people just fell on hard times, they were embarrassed to be there. Also with my grandmother, she had Alzheimer’s disease, she was in a home for old people, we got involved easily, me and my sisters, it came naturally for us. We took our grandmother home to live with us and we when we saw that there were other elderly people in the care home who didn’t have families that could take care of them the way we did our grandma, we helped in the old people’s home. LL: What made you decide to volunteer in our place? JMG: In April, during the earthquake in Nepal, I wanted to go there but I couldn’t because there were already a lot of volunteers helping, so I asked my university some time off to do volunteer work, but after internet research I couldn’t find an outfit with which to volunteer. I needed to go somewhere, so I went to visit Cuba for the break that I had, I also visited Central America. I researched about Latin and South America but I couldn’t find any for which to volunteer, I didn’t know where to go. I did more research in the internet, then I remembered Yolanda (Haiyan), the typhoon in the Philippines, the faces of the people, it came to my mind and I found "All Hands” (NGO) and I saw that they were doing the rebuilding phase; All Hands has been here for 2 years already and there were projects for building houses, many volunteer outfits were here only for the emergency phase, but All Hands has been here for the rebuilding. I also wanted to continue with the human experience. I was disillusioned in a way with plainly doing architecture because I didn’t just want to work in an office. LL: How would your field of work connect with doing good in the world? JMG: I really believe that architecture will improve the people’s living condition. These points are connected, people need to live in a place that is healthy for them, they have to be careful with that and they need to live in a place that is comfortable and they should have dignity with their home; it has to have proper conditions that they can live as a human, not as an animal. When I saw this in Tacloban, it was a match for me, it had the need for rebuilding as well as an element of humanity. LL: How was your volunteer work for Samar and Leyte? How did you find the people? JMG: I think people are doing good. In my goodbye speech for All Hands when my time to volunteer was up. The biggest thanks that I have is for the people I’ve met. There is really something about this word “resilience” here in the Philippines. People have been through so much but they carry on, they continue. During the 2nd anniversary, there was this candle lighting, I saw people who were sad but I also saw people who were positive, they gave candles for the dead. I saw this old lady, who wanted to talk to me, she was happy. I asked her why she was happy? She said "the bad things are gone now, the city is even looking better, there were many people who helped and it was good." I think the people are positive and want to move on. This is also connected with my own life personally. One of the mottos of All Hands is "rebuilding lives", not just homes. It made me admire the positivity of the people, they are thankful with what we do for them. Sometimes people don’t understand that being a volunteer, one does not earn while volunteering. But they are thankful. LL: Has your experience here given you more desire to volunteer? JMG: Of course, because volunteering makes you learn many things. How to work with the city, with different people, different cultures. I have seen nature destroy but I also have seen how people can rebuild. And I learned many things. I will volunteer again. LL: Given all that has happened in the world, the news we see, there are political and religious upheavals between countries, there’s terrorism and the natural disasters which we cannot control. Do you feel there is hope for the future of our planet? JMG: Advocate. I am not militaristic. LL: Given an opportunity to resolve one disaster or conflict going on in the world right now, which one would you take a gander at? JMG: I would show the reality of the the guns, I would show them that the people who are behind guns are people, like co-workers. I would build more schools instead of guns. LL: Do you still find time for your personal life after all the travels and volunteering? JMG: Yes, yes i do. LL: What’s next for you? Where do you see yourself 5 years from now? JMG: I am also studying law, I don’t want to be a lawyer for the sake of being one, but it (law) is important for everything. I am interested in human rights, people’s lives, if I make good with engineering and architecture then I also want to help improve people’s human rights, to improve dignity. In university, I had this paper about helping the slums in India, in terms of architectural and things that will improve lives. 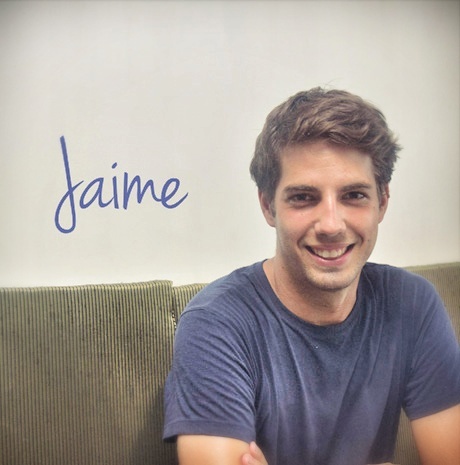 Jaime did volunteer work in Leyte and Samar for 3 months, he helped build and rebuild homes in Leyte and helped rebuild schools in Hernani, Samar. After his work in the Philippines, he will take a break and go back to the university to finish his studies in Denmark. From all of us, thank you Jaime.